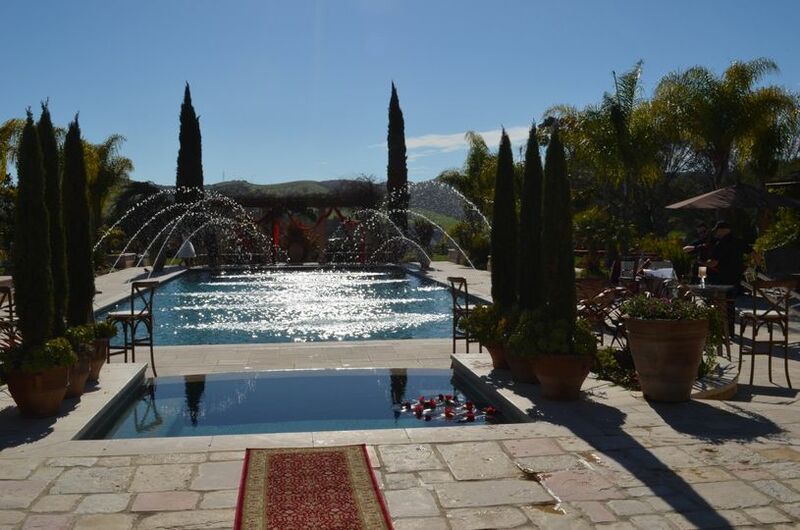 A breathtaking wedding venue in San Luis Obispo, California, Hidden Springs Villa is the ideal, classic location when envisioning a gorgeous outdoor Tuscan scene. 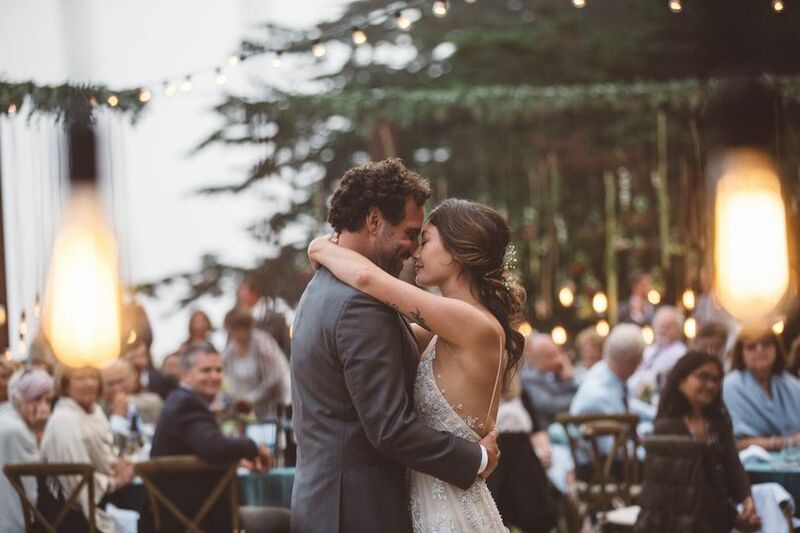 With the Californian hills rolling in the backdrop, this venue is sure to wow your guests as you and your soulmate declare your love. 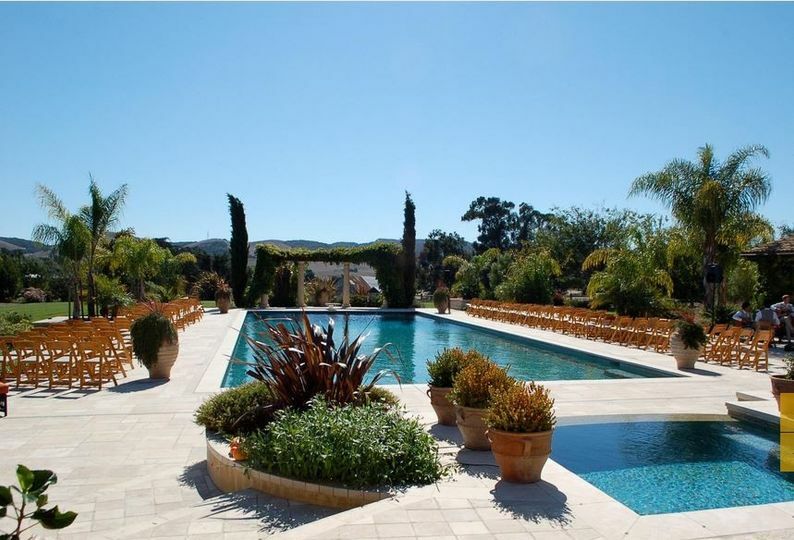 An incredible combination of stone, foliage and blue pools of water will create a most picturesque view. 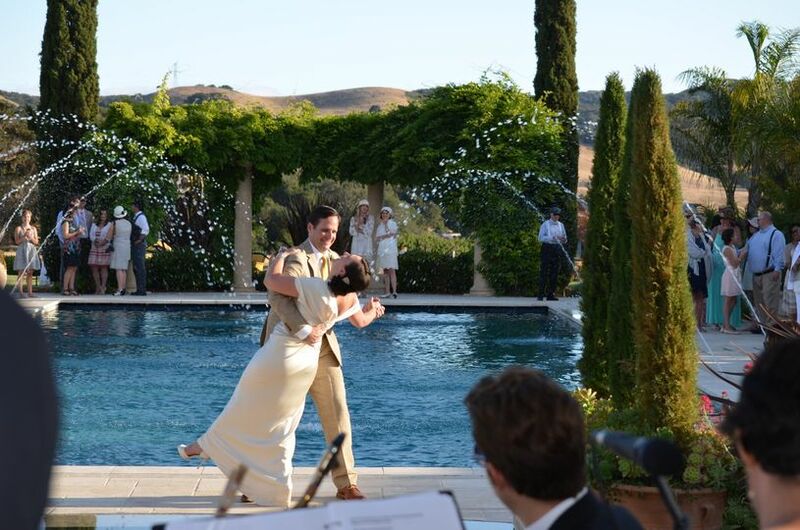 Hidden Springs Villa has five separate outdoor wedding areas, some of which are covered outdoor, in the pleasant Central California climate. The guest capacity ranges from just five up to 150 guests for the intimate space. The owners understand the importance of comfort in their gorgeous villa and capped the capacity in order to protect the integrity of the space, so no matter the amount of guests, there will be plenty of room. Hidden Springs villa is absolutely breathtaking! 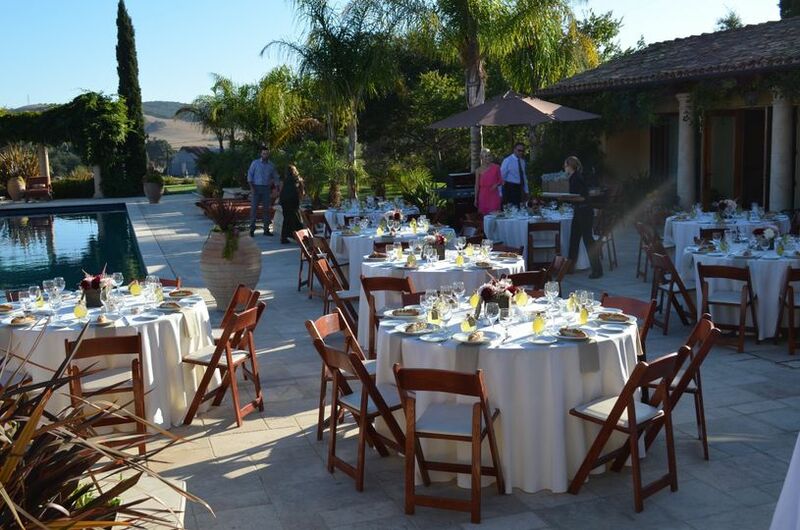 We could not believe that we had found such a beautiful place to host our wedding reception! We had just under 100 people and there was plenty of room. The owners were beyond understanding and helpful with all of our needs and wishes. This is such a refreshing change from all the venues available. It's has elegance and class and is yet very comfortable. It is clean and well attended. 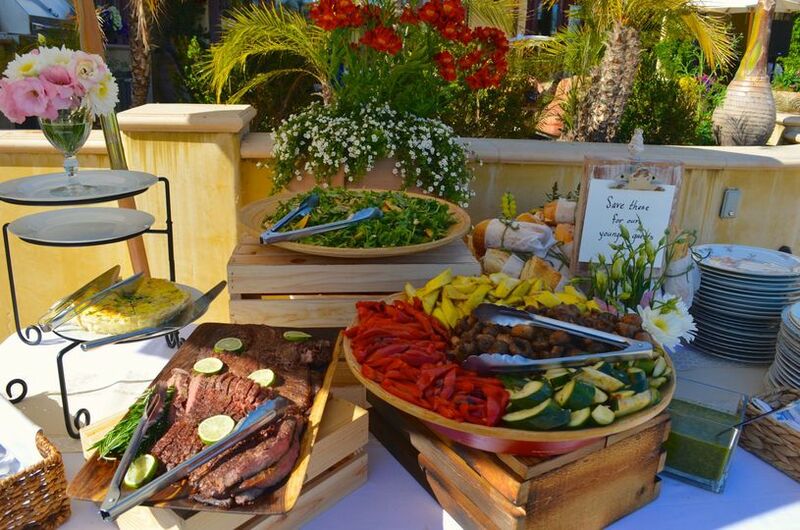 It quite easily could lend itself to a dress up affair, or a casual pool side family get-together. 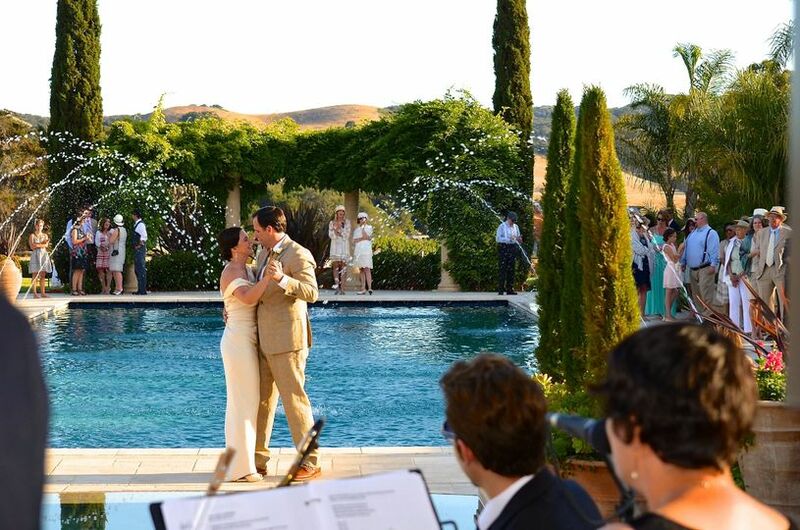 Our wedding was dress up elegance that converted to a casual meandering backyard hang-out. I feel like the price was very reasonable for the quality and unique-ness of the venue. I would share photos so you could see but this wedding wire site won't take the size of the photographer's digital images. :( Trust me, it's a beautiful place. Debbie and her family were a joy to work with and exceeded our expectations at every level. We would recommend Hidden Springs Villa to everyone! The Hidden Springs Villa... Wow this place is stunning. I was in awe of this place the moment I stepped foot on the property. 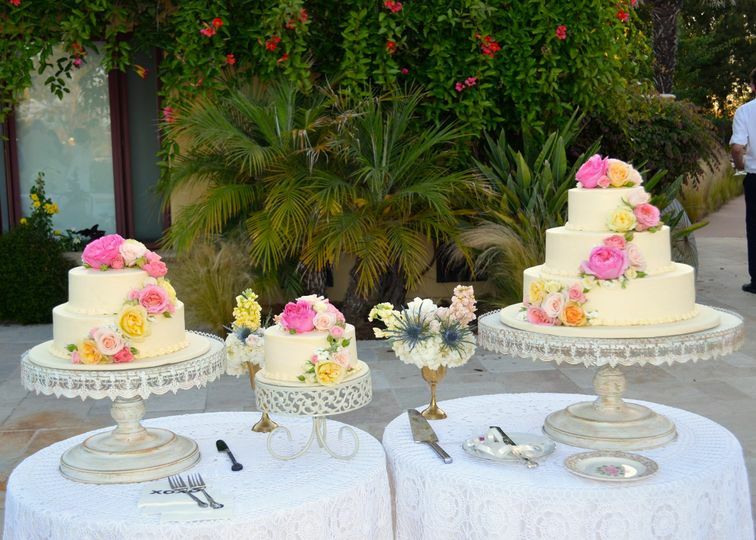 This gorgeous estate offers such variety of options for you on your wedding day. They have a huge parking area, gorgeous lawns, a stunning galley pool with a water feature that will stun your guests, gorgeous patio and landscape that can be used in so many ways. They have a pool house that can be rented for the weekend that makes the wedding weekend an ease for you. Debbie, the owner, is so excited to have weddings on her property and she really enjoys seeing happy memories start at her home.